Dull Things No Life is a Run & Jump avoider game where you aim for the goal by operating a speeding red bike. The stage on which your motorbike speeds down is surrounded by walls, (like a tunnel), just in Dull Things No Life you can move literally anywhere! You can ride on either side of the wall, and use a total of three different types of actions in order to dodge obstacles by simply tapping the screen at the correct timing! The timing in which you are required to tap on the screen is synchronized with the beat of the background music, allowing you to play as though you were enjoying a rhythm game. 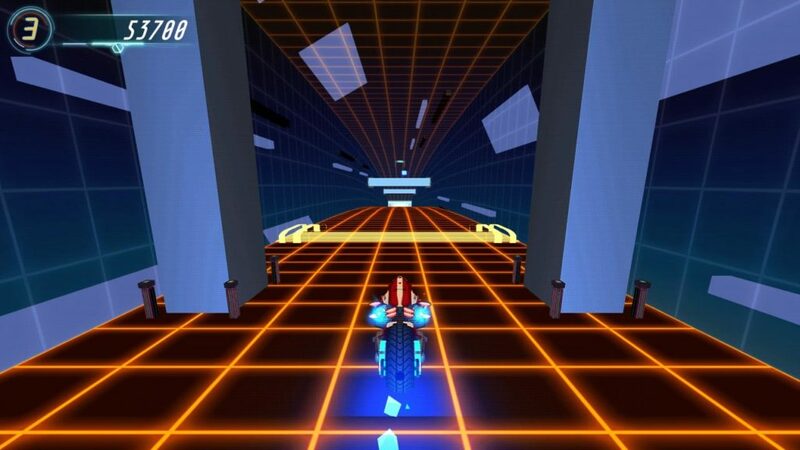 Of course, you can also move from side to side and dodge obstacles as you would in a normal runner game. Dull Things No Life is a very difficult game to clear using the same method as other games because of the unique and challenging obstacles you will be faced with. There are many games that combine Run & Jump avoider game elements with Rhythm game style gameplay, but this game steps things up a notch with a new and unique method of gameplay. The “character” you operate in this game is a small-ish red motorbike. By tapping on the left and right sides of the screen, your bike will move left and right. Pretty simple. The stage on which your bike speeds down is surrounded by walls (like a tunnel) but remember, you can ride freely on either one of the walls beside you, quite literally changing your perception of what is down! If a large pillar is blocking the track, you can jump onto the left or right walls to avoid it. In addition to avoiding obstacles by moving to the left and right, Dull Things No Life also allows you to avoid obstacles by tapping on the screen of your device. 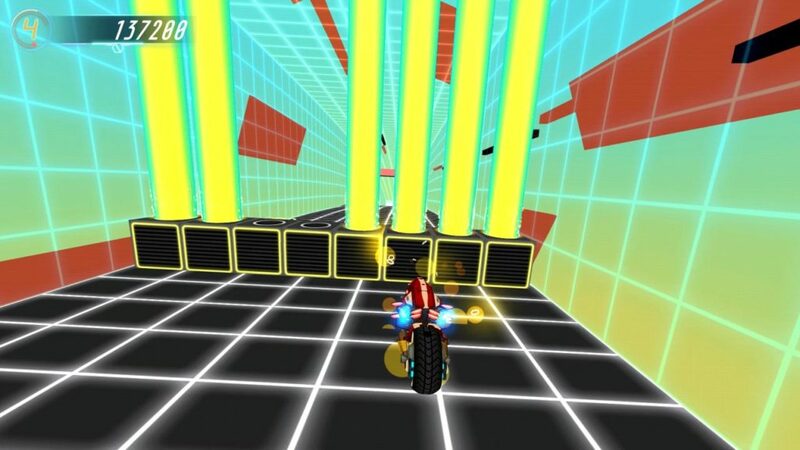 Your motorbike – which is the main machine in this game – can perform its own actions and dodge obstacles. There are three kinds of actions, and your bike will automatically judge which action to use based on the obstacle in front of you! 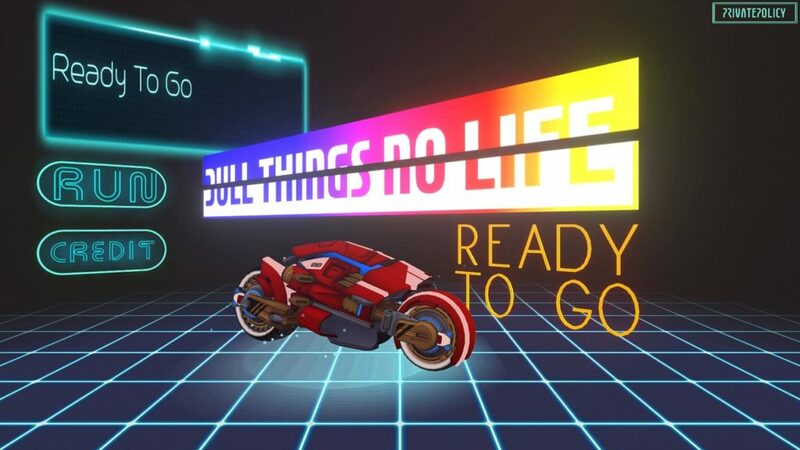 Although Dull Things No Life is a casual game, we created a cool cyber world with the title, BGM, UI, etc, that is designed to pull players into the world of the game. In recent years, “casual games” have been transformed into games with a simple design and no personality. We think that a characteristic hero should run the world, not a ball or cube. Therefore, we strived to express the world we were trying to create in every detail. We hope that we can convey our convictions to the players who enjoy Dull Things No Life! This article was Published by Edamame Reviews, Written by Stab of Bee Project.